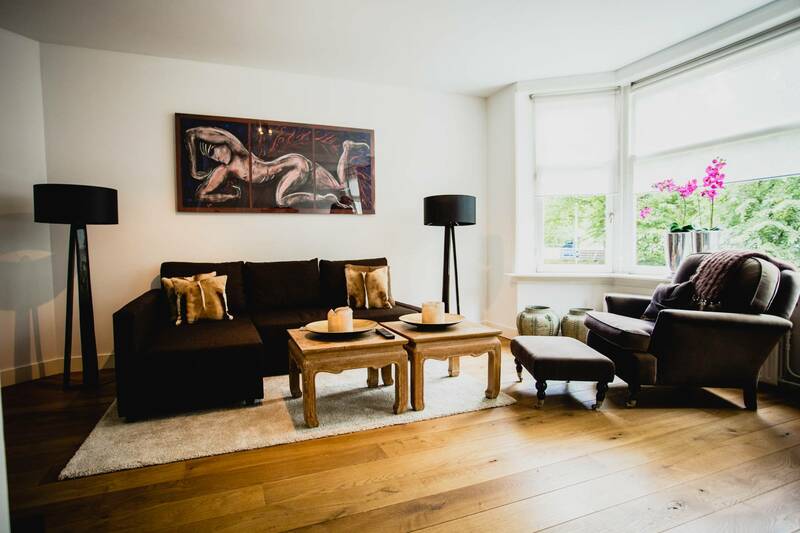 Luxurious furnished apartment in the south part of Amsterdam with balcony and roof terrace. Entrance via a recently renovated staircase on the first floor. The spacious and bright living room is situated on the front of the apartment. The luxurious kitchen is situated on the backside and gives acces to the balcony. The kitchen is equipped with a kitchen island, 5-pits burner, dishwasher, refrigerator, freezer and coffee machine. The bedroom (4.21 x 2.46) is situated on the backside also gives acces to the balcony. The luxurious bathroom has a wash bassin, toilet, walk-in shower and a design radiator. On the third floor is an external storage with connection for a washing machine, dryer and it has a build in cupboard. On this floor is the entrance to the shared roof terrace.